Our campus in Buxton is home to one of the region's top banqueting venues, the Devonshire Dome. Within the Centre of Contemporary Hospitality and Tourism, we have on-campus training and commercial facilities that our students use to gain real world experience, preparing them for work after graduating. The Dome Restaurant is a unique dining experience offering delicious, contemporary dishes prepared by our talented students. 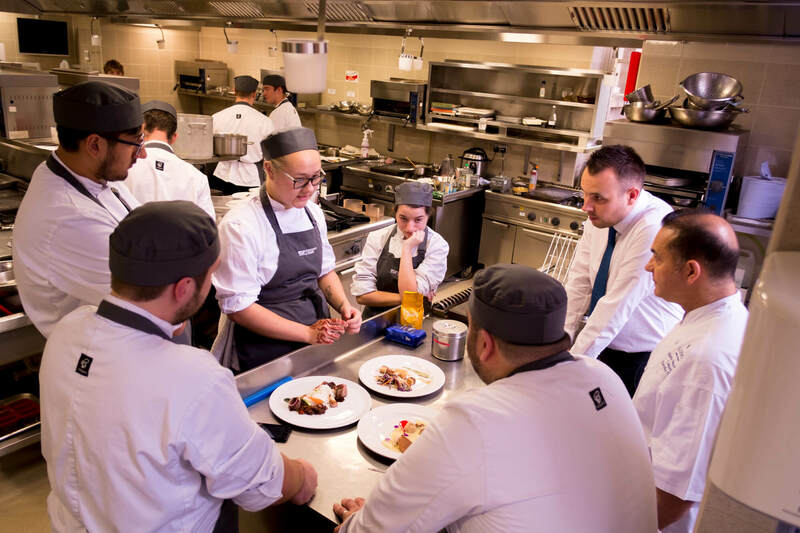 As part of our Hospitality and Culinary programmes, our students work together helping the Dome Restaurant to achieve its first-class reputation for outstanding food and exceptional service. We have seven industry standard kitchens on campus, all fully equipped ready for our students to put their skills into practice, using the highest quality ingredients. Practical learning doesn't stay within the kitchens, we also have live culinary workshops in our kitchen lecture rooms fitted with large screens, giving students the opportunity to learn from guest lecturers and chefs. Find out more about our Culinary Art and Culinary Management degrees.